Opening Day This Saturday March 17th! The countdown to Opening Day 2018 is on! 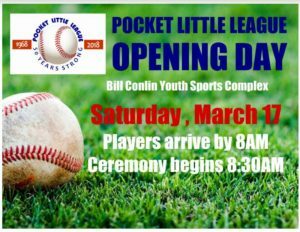 Come join the Pocket Little League community as we celebrate the first day of baseball season. Don’t miss it!